Includes 50′ of ground, lead, and a 6kw generator. 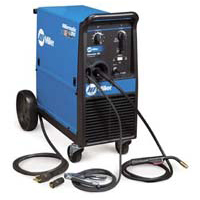 140 amps dc welding output. 3500 watts of auxiliary power.